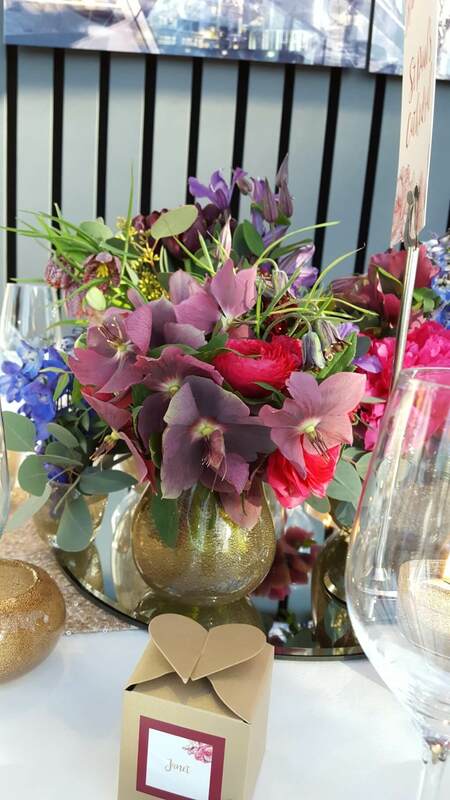 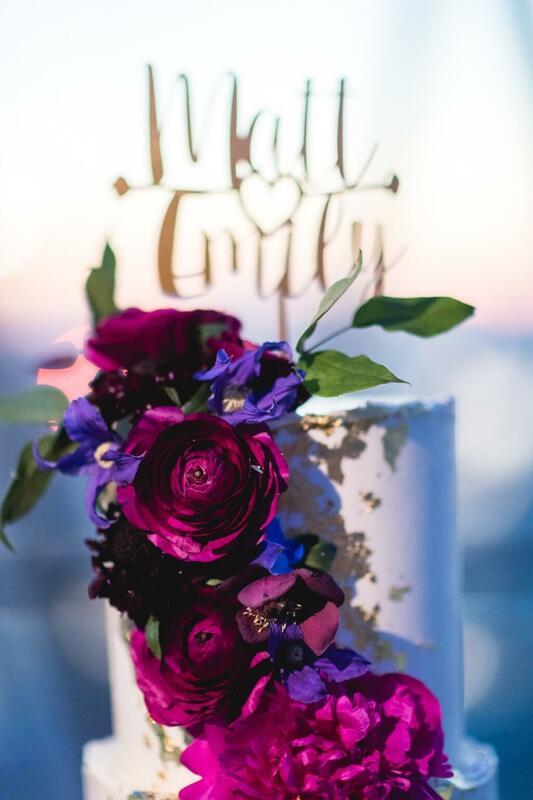 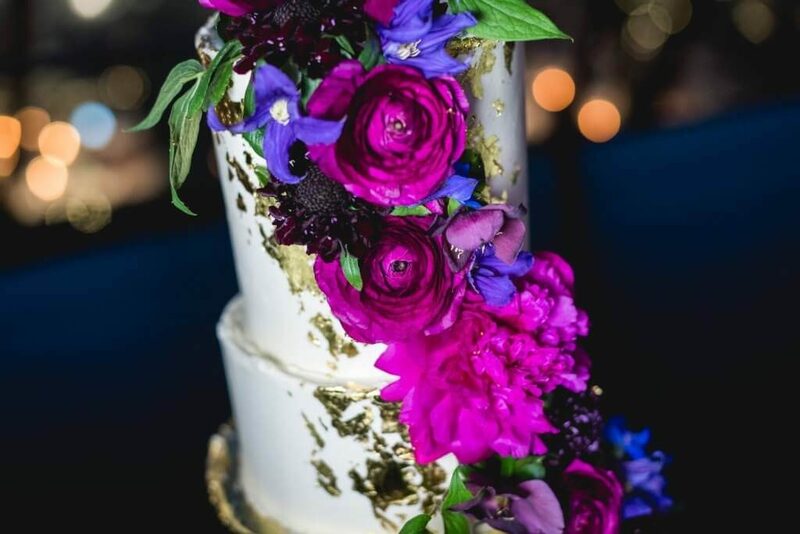 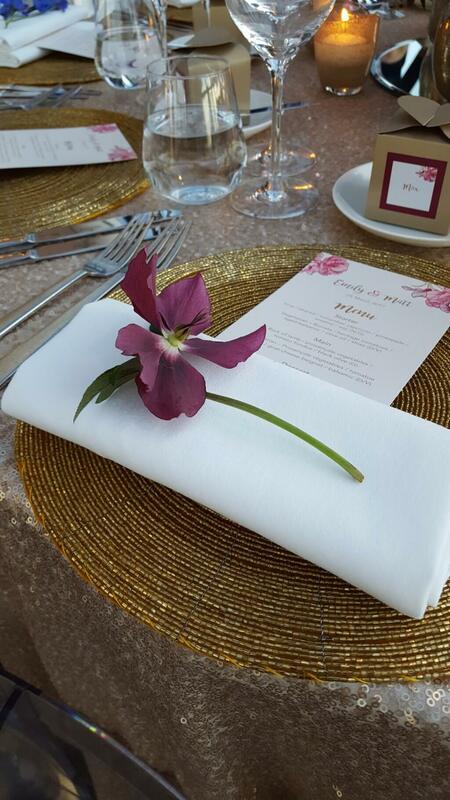 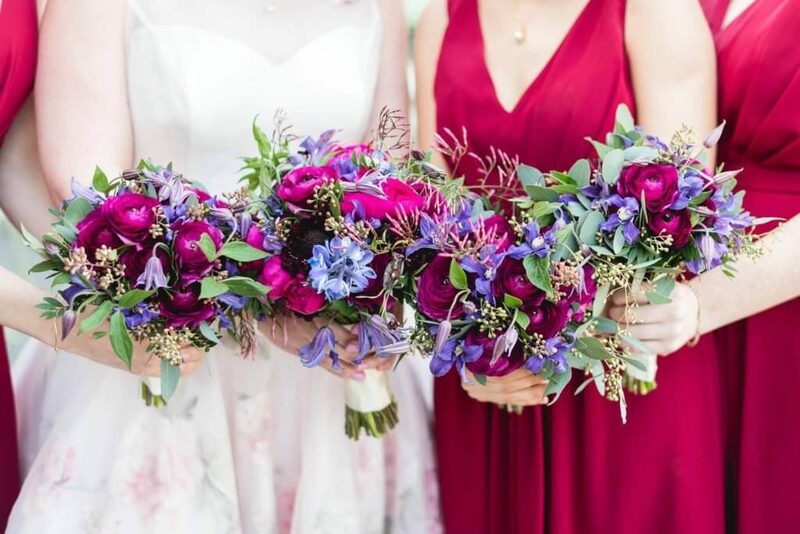 These keen gardeners booked their wedding flowers well over a year in advance and had bold ideas for their colour blend. 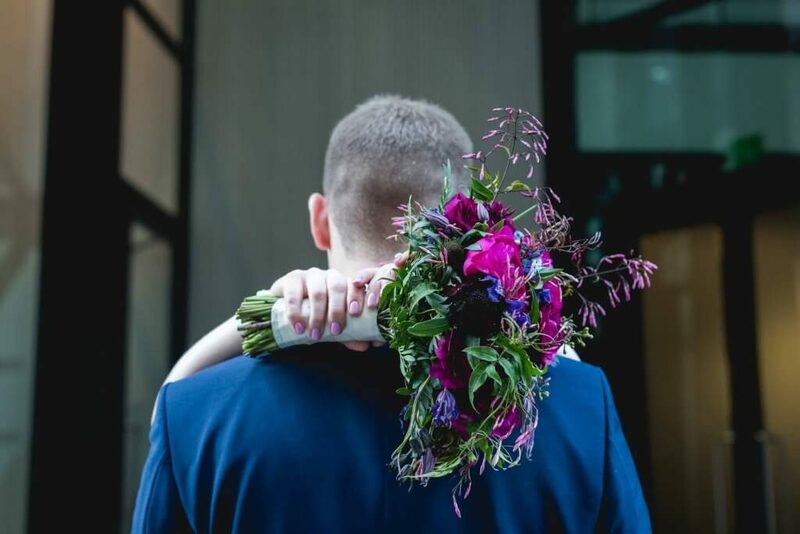 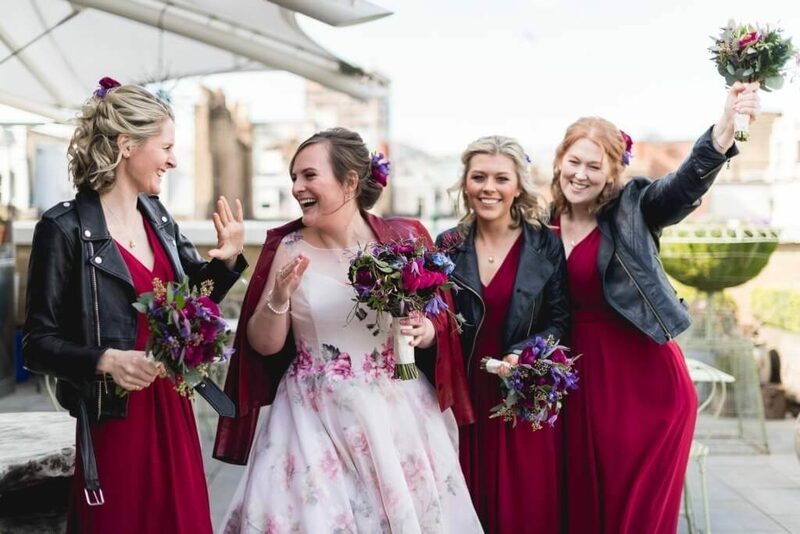 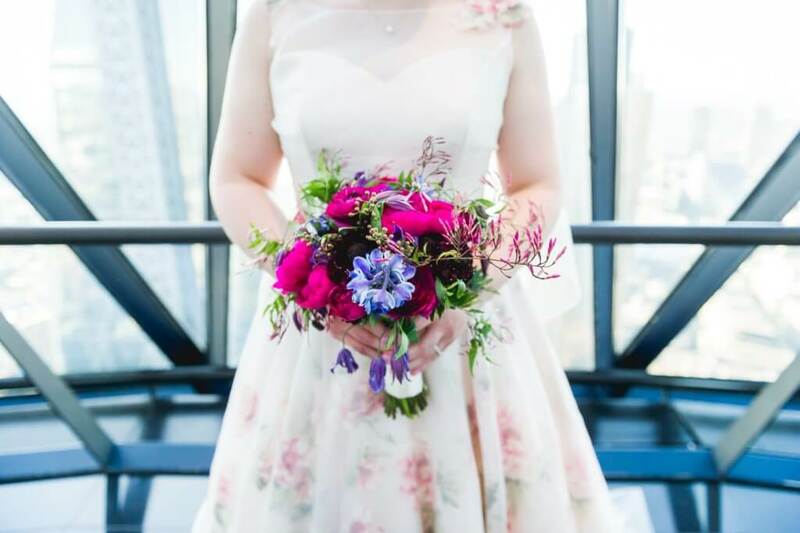 The brief for this vibrant city wedding was ‘natural flowers cut from the garden’ with the added caveat the flowers should echo the pattern on this beautiful brides stunning but untraditional dress. 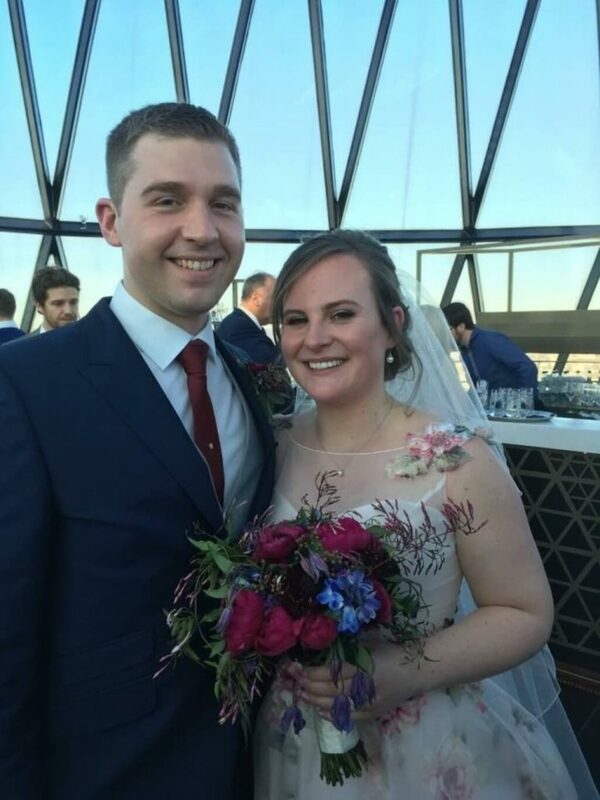 With the honeymoon booked to Japan, this gorgeous couple wanted to incorporate cherry blossom into their floral design and chose beautiful trees as their ceremony backdrop overlooking the city of London. 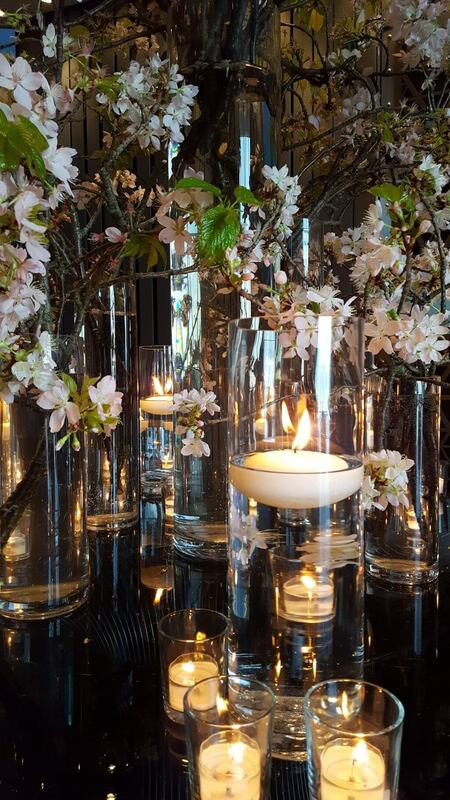 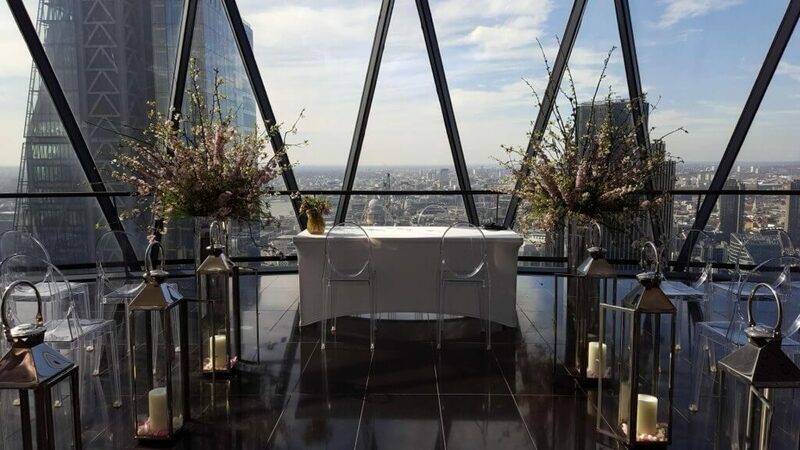 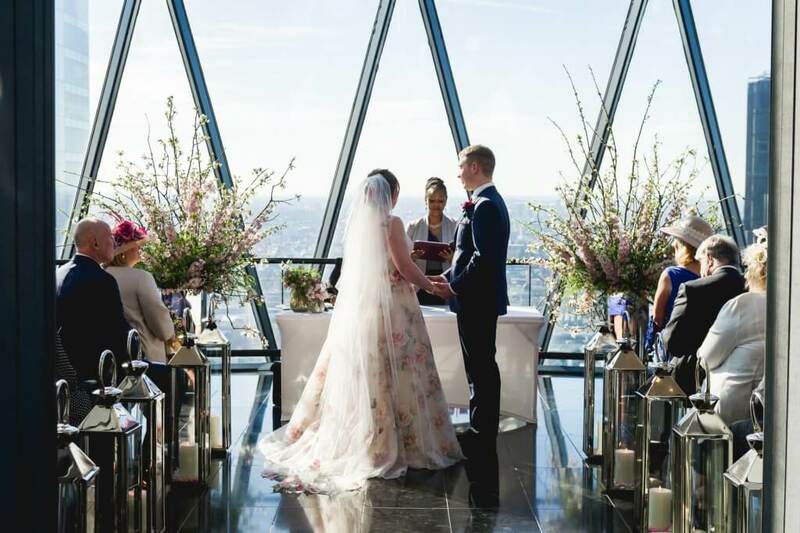 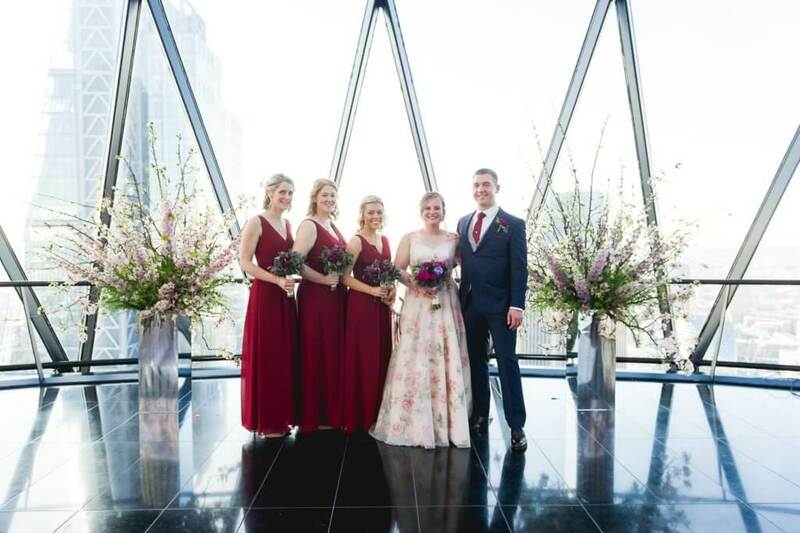 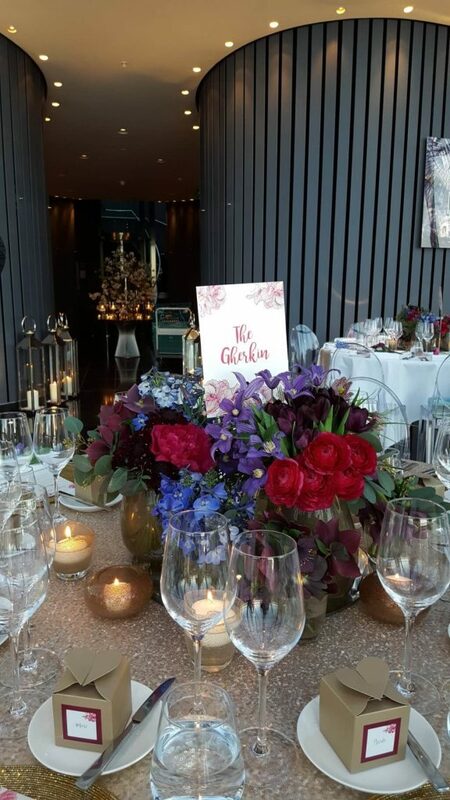 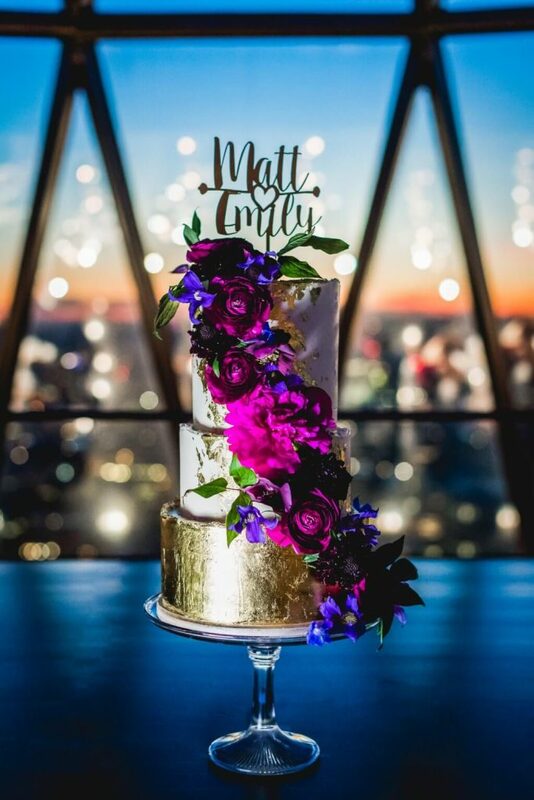 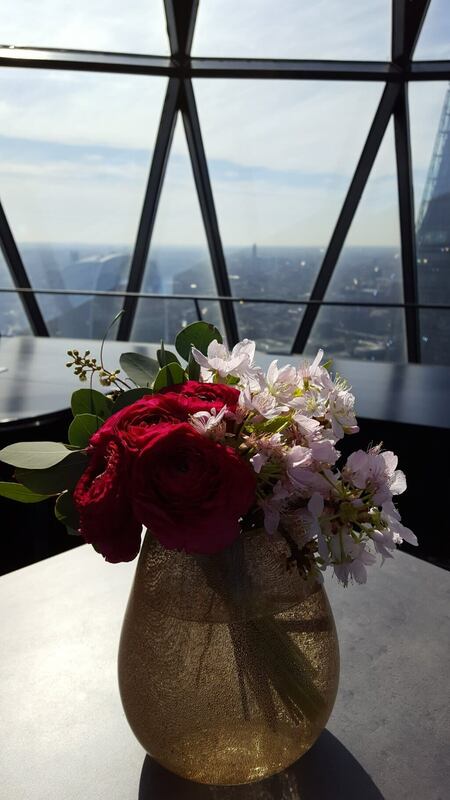 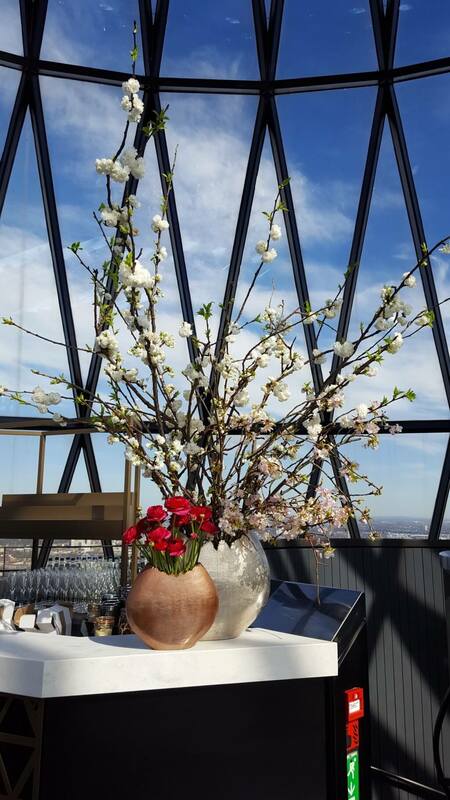 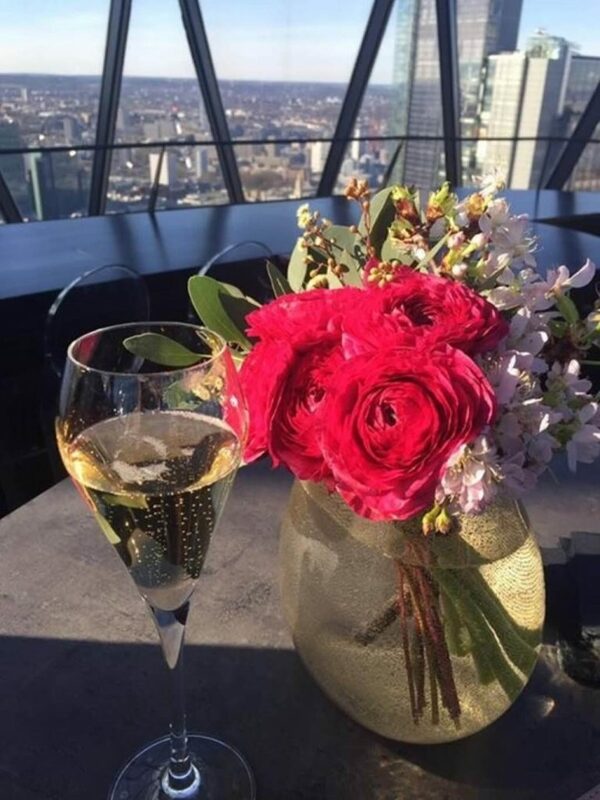 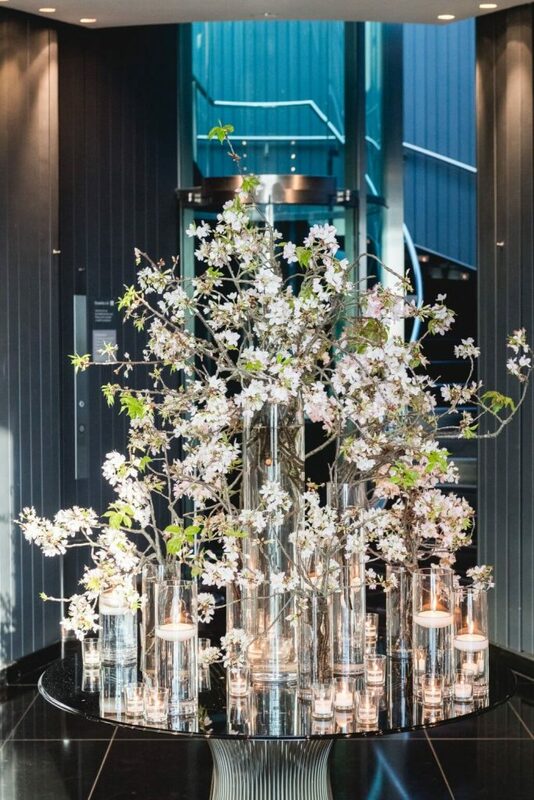 Tall silver lanterns lined the aisle through from the lobby of the Gherkin where an additional cherry blossom stood surrounded by soft floating candles. 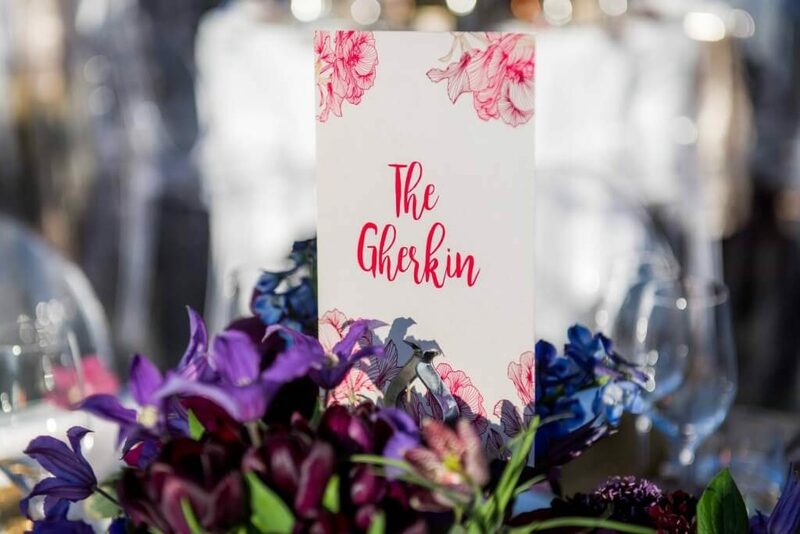 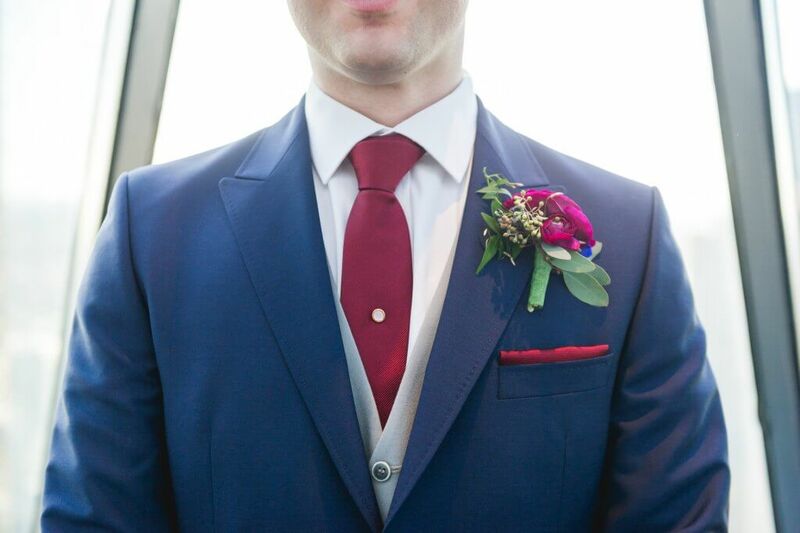 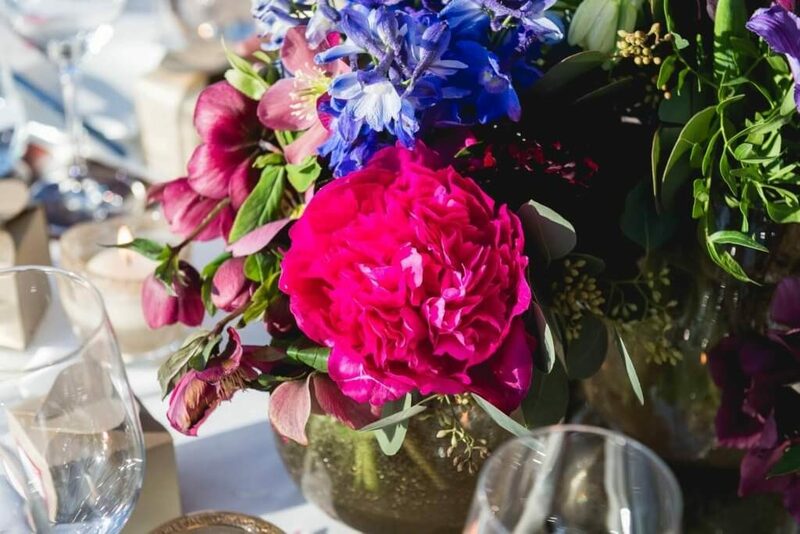 The wedding breakfast added colour and vibrancy to this spring wedding with cerise pink peonies, burgundy scabious and blue clematis draped in low designs across the 9 dining tables. 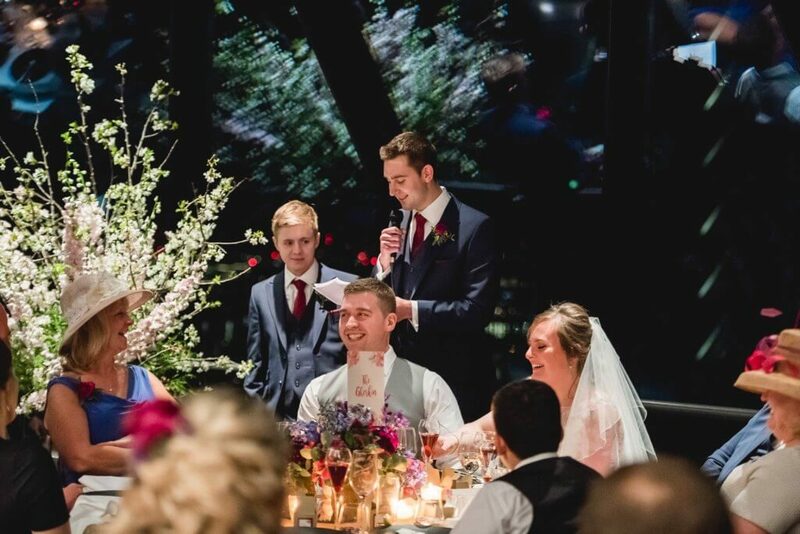 This couples fantastic garden knowledge and artistic vision ensured this wedding really was the replica of a spring country garden in the city.